After several heavy-hitting singles on RAM, and a massive debut album release, Rene LaVice’s name is well and truly scorched onto the international D&B map. Released in February ‘Insidious’ revealed the Toronto trailblazer’s broadest badman skills and scored him massive support the world over. Now Ram Records returns to the album with two of their most exciting new signings. 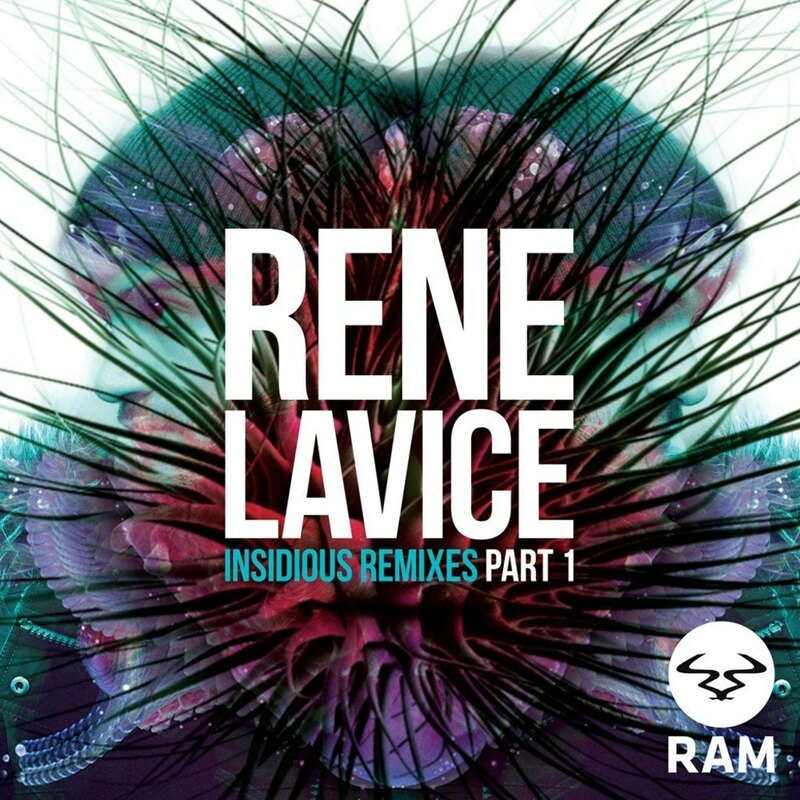 The first of a Rene LaVice remix series, this single sees both Chords and June Miller applying their technique to two of the many ‘Insidious’ highlights. Chords takes the lead. And he does so with his darkest vision to date. Taking the icy unforgiving croaks and groans of the sub-soaked original, he’s added more weight and brute force to the kicks and a trippier, more sporadic nature to the bass gurgles. All this is countered sweetly by occasional breezes of tantalising pads… Only to throw us back into the deep dark groove for more untamed bass fun. June Miller follow with an equally satisfying take on ‘Dark Passenger’. Paying respect to Rene’s original demonically hypnotic Q&A bassline, the Anglo/Dutch duo apply their trademark metallic industrial strength dynamics. Charged with full spectrum muscle, and broken nicely by a short, sweet body-shocking halfstep drop, it’s June Miller at their most savage and sonically succinct. Two killer remixes, three of Ram’s brightest new signees: ‘Insidious’ just keeps on giving. Stay tuned… There’s plenty more where these came from!